Just the heel in a contrast colour this time. I wanted to use up as much of this yarn (Opal: Sweet ‘N Spicy) as possible to have the least left over (still probably enough for a pair of legs). 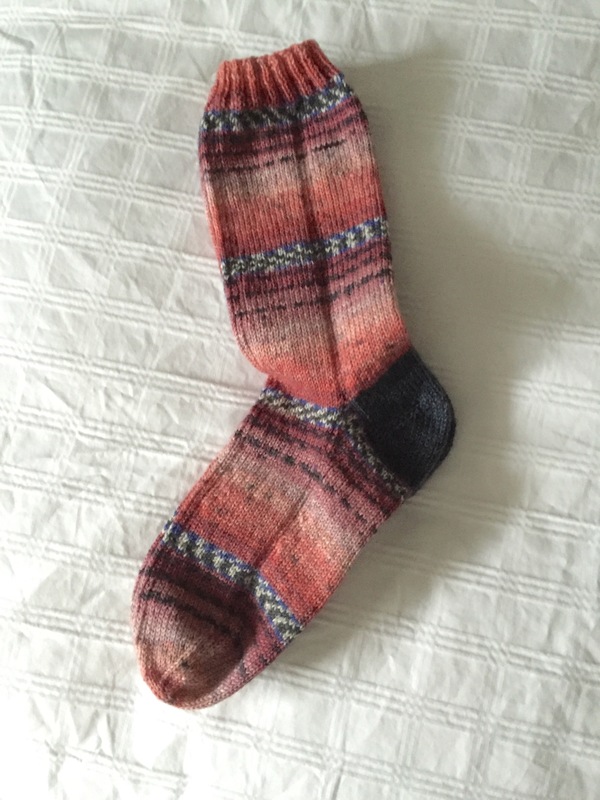 This is the only yarn I’ve used for three pairs of socks – that’s why this pair seemed to go so slowly – I knew what was coming. That was the last full ball of yarn in my stash. Time to visit LK Yarns in the north end, my local yarn shop.